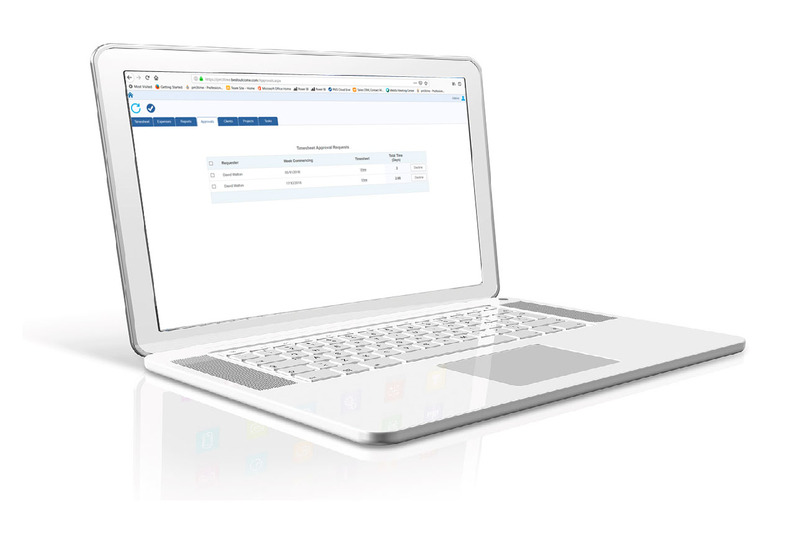 PM3time is the simple GDPR compliant, UK timesheet system that configures to your needs. Stop wasting time and money with wrongly coded timesheets and enjoy the transparency and efficiency that comes with knowing how your employees and contractors are working together. 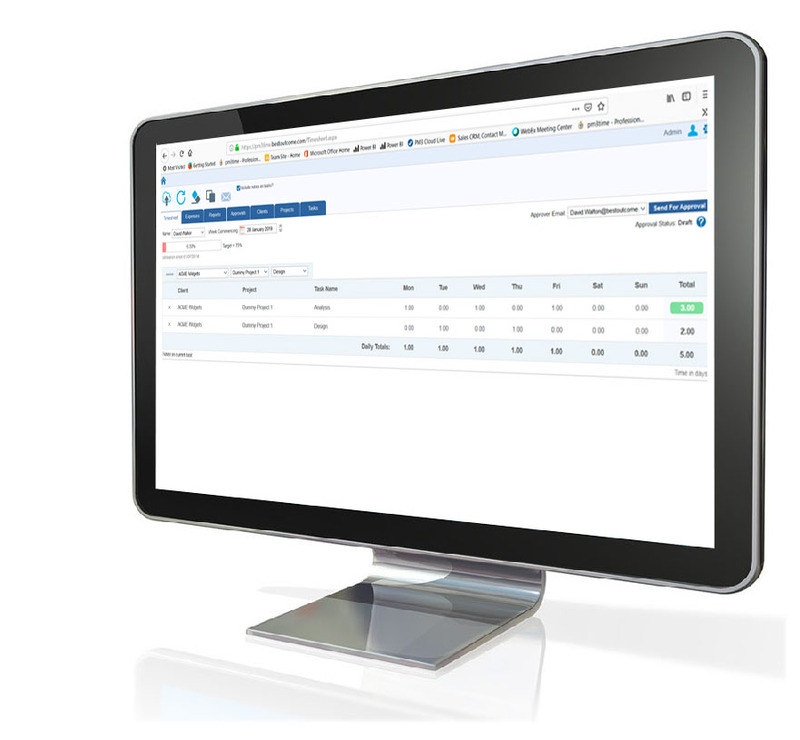 PM3time provides real time visibility, so setting utilisation targets and tracking actuals has never been easier. Whether you are estimating costs or reviewing performance, PM3time gives you and your team the tools you need to make beautiful teamwork together. Quickly record the time spent on tasks each week. A person can work on multiple tasks, on multiple projects, and for multiple clients if necessary, all within the same timesheet system. 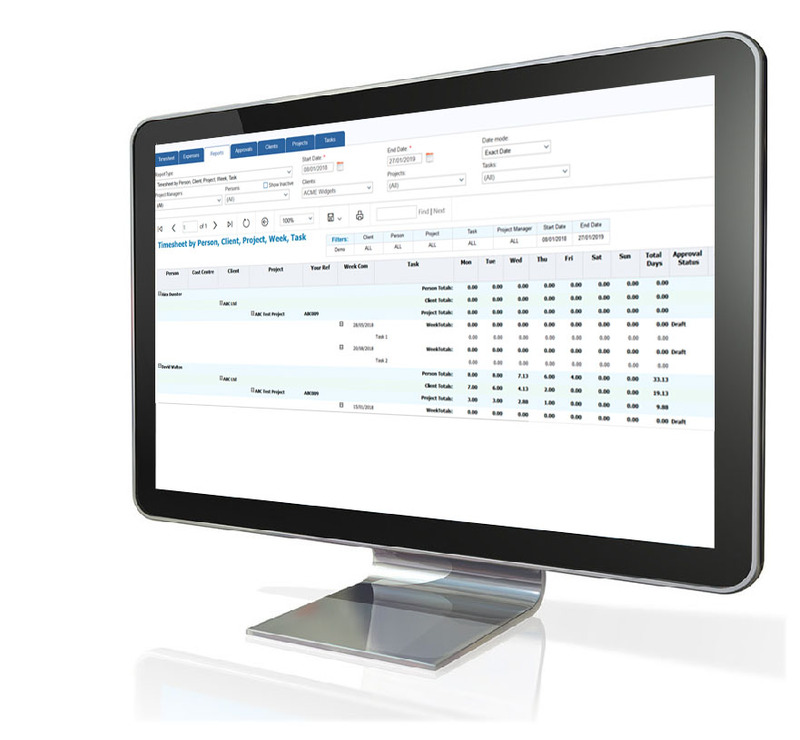 Quickly record the expenses you have incurred. Timesheets and expenses often need to be approved by a line manager. 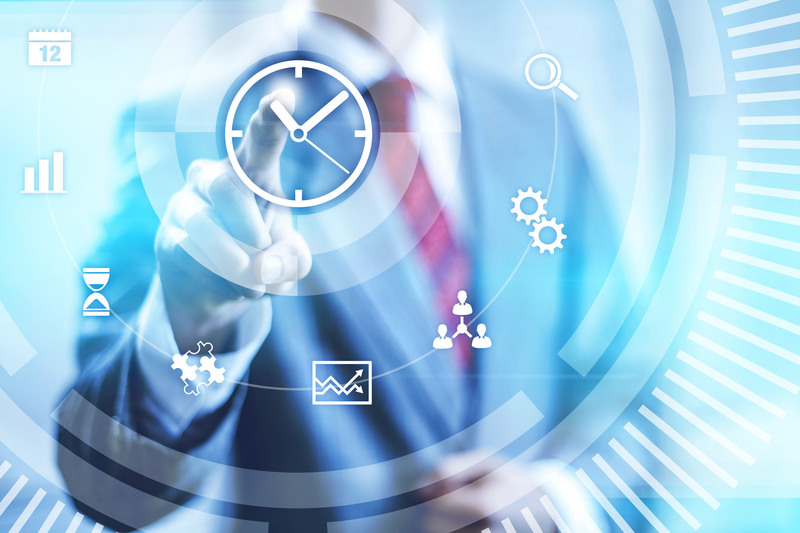 PM3time has a workflow engine that automates the approval process and allows the line manager to either accept a timesheet or to decline it, giving a reason. The automated workflow saves time and keeps an electronic record of approved timesheets and expense claims. All reports can be exported to Excel, Word and pdf. PM3time interfaces with PM3, our flagship PPM solution. Time records can be imported into PM3, allowing additional reporting of resources used against budget and capacity. 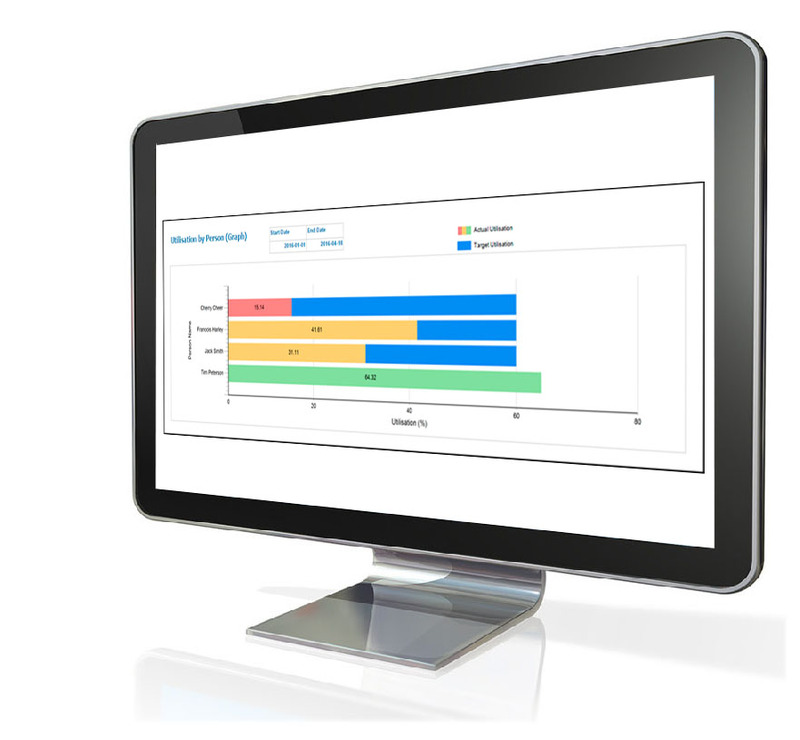 PM3time has powerful functionality allowing resources to have multiple rates (e.g. internal charge rate and external charge our rate). Rates can be allocated by selected time periods, and by customer. Many client service organisations give their consultants utilisation targets. 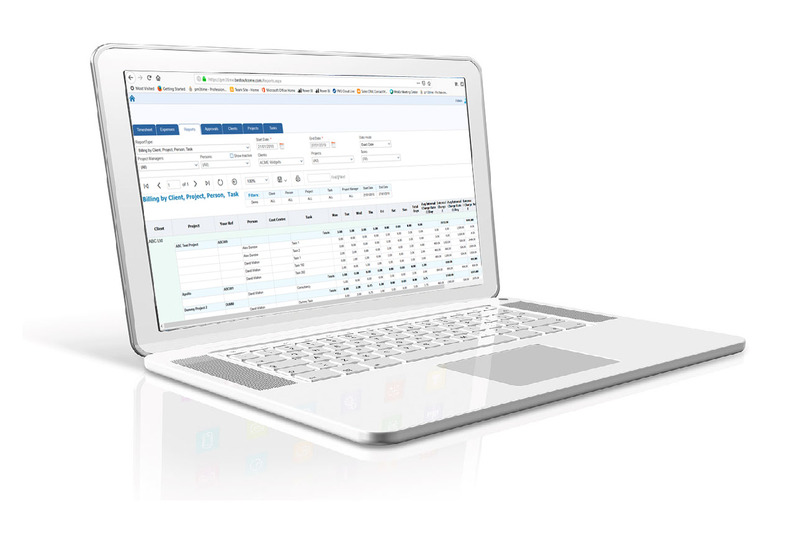 PM3time captures utilisation targets by role or by person and automatically calculates actual utilisation based on consultants working on billable projects.